Wow - Super Groovy! - My 104M might love that. Hey there - I’ve been looking at this tonight and love the three footswitches and the nice dial. I’m wondering if there’s any midi-only parameter that’s available in the pedal? For instance, in the 104M manual there’s a listing of many non-panel configurations on page 23, which is also covered in this addendum - are any of those available in the Vongon? It’d make it really cool to add dial control to non-panel options. 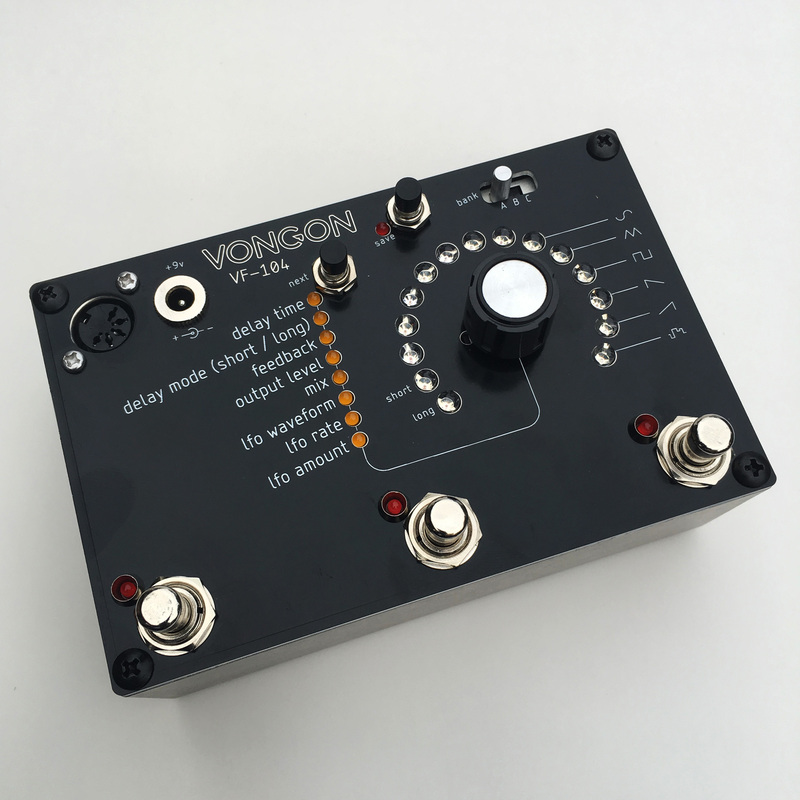 I like the dial on the Vongon but also see the redundancy in what’s already a dial on the Moog and wonder if there’s room for the Vongon to be an expander, of sorts. One option might be a second pedal that just offers the non-panel settings on the Moog (with the option to save settings on both the moog and Vongon together as a preset) — That’d be wonderful. Best success on this. The videos are really well done, too. Also, unfortunately the midi connection to the moogerfooger is only an input. So there is no way for the vongon to “see” where the knobs are positioned on the moogerfooger. That’s why it’s “redundant” where you have to build the preset on the vongon unit itself before saving. Does that make sense?